A genotype is the collection of genes that all living things, including you and everyone you know, carry. It is the set of instructions that controls most everything about an organism. It is why some peas are wrinkled and some are smooth. In humans, it’s why one person might have red hair and another person might have blonde, or even why someone is less likely to end up with type 2 diabetes or have a heart attack. A genotype can also refer to a gene or set of genes that leads to a single trait or disease. 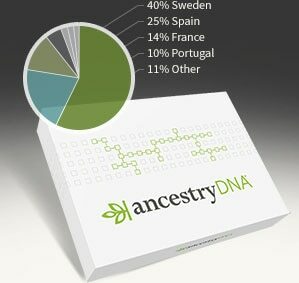 For example, if your MC1R gene leads to you having red hair, then you have the genotype for red hair. Humans are diploid organisms, which means you have two copies of each chromosome—one from each parent. The exception to this is in biological males who have a single X and a single Y chromosome. At a given position in the DNA (or genetic locus), the pair of alleles from the two chromosomes makes up the genotype at that position. In humans, the gene for earwax type, for example, has two alleles: one for wet earwax and one for dry earwax. Alleles can combine in different ways to affect some aspect of a living thing. For example, in cats, fur length is decided by a gene that comes in two versions, short and long. If a cat has two short alleles, it has short fur. If it has two long alleles, it has long fur. And if it has one of each, it has short hair. In this case, the short allele is said to be dominant over the recessive long allele. If it takes just one allele to see a trait in a diploid organism, then that trait is dominant. Geneticists denote dominant alleles with a capital letter and recessive alleles with a lowercase letter. So, in the case of cat fur length, “L” refers to the short hair allele and “l” to the long hair allele. Not every allele is dominant or recessive. Sometimes, as in blood type, two alleles might be codominant—they combine to make a trait. In this case, if someone has an A allele and a B allele, they have AB blood type. Other times alleles might be incompletely dominant. This can be seen in snapdragons, where a red allele and a white allele give a pink flower. Genotypes can be described as heterozygous or homozygous. Heterozygous genotypes contain one copy of one allele and one copy of the other. Homozygous genotypes have two copies of the same allele. The heterozygous genotype for cat coat length is Ll, with one allele (L) coding for a short coat and one allele (l) coding for a long coat. There are two homozygous genotypes for cat coat length: LL (homozygous dominant) and ll (homozygous recessive). The likelihood of offspring having a particular genotype is known as the genotype ratio. In order to obtain this probability, a diagram known as a Punnett square can be used. This is essentially a grid that contains one parent’s genotype as a column and the other parent’s genotype as a row. If the diagram represents one gene with two alleles, there are two rows and two columns, one for each allele. The allelic combinations between the rows and columns represent the probable genotypes of the offspring. Genotype refers to all the genes that an individual carries. Phenotype is the term for all the observable characteristics for which the genes code. In other words, the genotype refers to the genetic information, while the phenotype refers to the observable characteristics, including traits. In humans, phenotype examples are eye colour and hair colour. In cats, one phenotype example is coat length. The genotype corresponding to the phenotype of short coat length would be either LL or Ll, while the genotype for long coat length would be ll. Genotypes influence phenotypes, but they are not always perfectly correlated. Phenotype is also influenced by environmental factors, and a single phenotype could be the result of more than one genotype. For example, short cat hair could result from either of two genotypes, LL or Ll. A genome is the complete set of DNA that contains all of the instructions for building, maintaining, and running an organism. 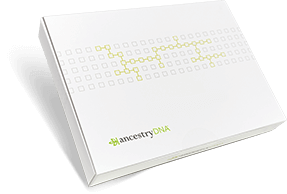 Learn more at Ancestry®!